In a world when sometimes things shines so bright in everyone’s life, then before you know it darkness seeps on through and it makes you feel unglued inside. Society is falling apart and being divided by opinions and for expressing ones thoughts and feelings. Some people are at the ready to tear you down, make you out like a clown and call you a liar, but deep down within us all a fire burns. We yearn to tell the truth and let be known. We must cast the first stone to make a ripple in a body of water. We are the sons and daughters. We are the warriors who live day by day. Hoping and praying for the suffering to go away. Shadows in every corner trying to hush us up, people threaten you to keep you silence. The torment and violence it’s brewing up inside, we can no longer hide the devil within, the ultimate sin that has been brought onto us. We thought we could turn to you. We thought we could trust. The wrongful lust that was brought upon to us. Leaving us with a world of pain. My mind and soul has gone insane. What you did to us was inhumane. You had everything in this world to gain and we were bound to lose it all. Some rise yet some fall. Now I stand tall and I roar my truth, I am like a lion that roars in this almighty jungle, but sometimes I feel isolated and all alone. But I know I have you here to guide me. I have the people that truly care the rare ones that exist. The ones that will set us free from these tormented feelings inside that I won’t miss. I now present to you a word from me to the world a story that must be uncovered and told. Corey Feldman has unleashed the truth that he has kept within for so long. His friends, family, fans and supporters are right along side him. 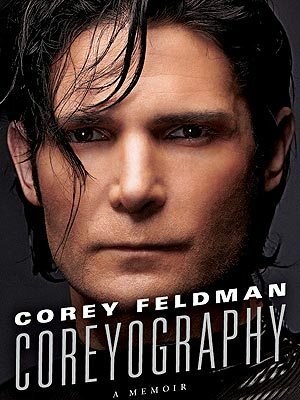 I was very thankful when Corey Feldman said to me on twitter I could write this blog about him. It’s about so much more. A message he wants to share with the world. Something sinister is happening within the walls of Hollywood. The elite crowd that poses for the cameras and have the dazzling smiles but underneath it all something is hidden and day-by-day we are seeing it brought into light. Sexual allegations left and right and ones that have happened long ago are beginning to surface. 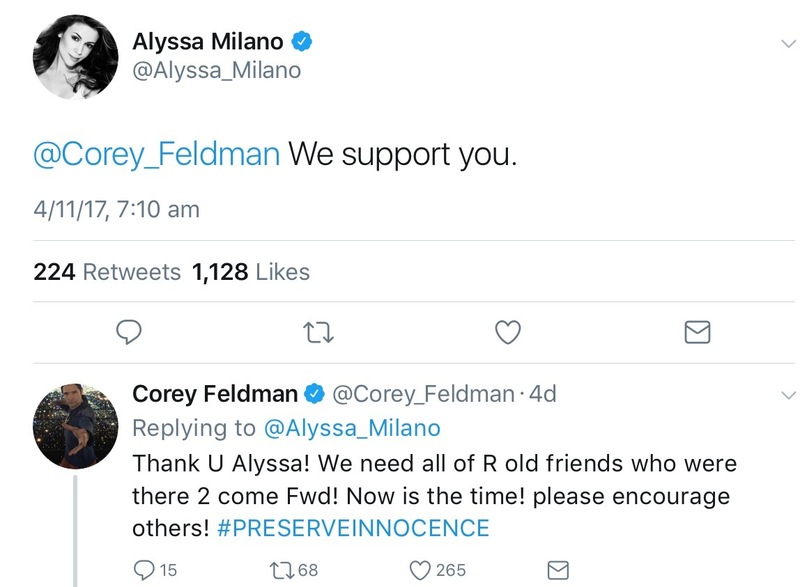 Corey has a truth that he wants unleashed and to be told in a tell all documentary. About his life, upbringing and the darker world of Hollywood. 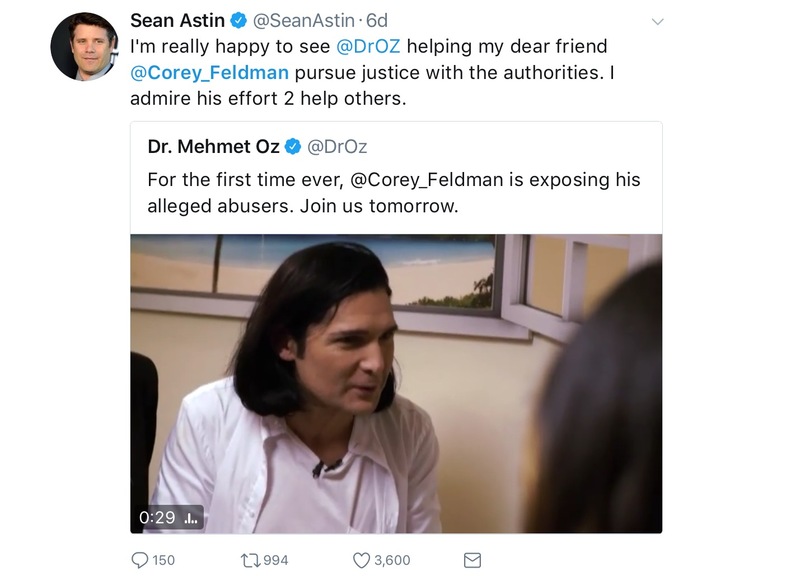 In order to do this, he has started a truth campaign and it’s to uncover the TRUTH through Coreys story in a film of his life. “Why make a film?” Here’s why….I’m a film maker, that is my art, my talent, my strength, & my profession. 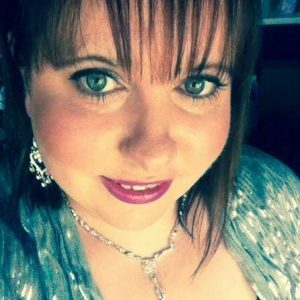 I want to truly show people what a child experiences when living with abuse from the perspective only someone who has lived with that abuse can make. It is a very important commentary and a brave piece of film making, as there is no one else who can truly capture the essence, of what the experience, of an abused child, who is famous, goes through, in the way that I can. And as this story must be told once and for all, & as I am the only one who can tell it, I must reveal these very painful memories by reliving them through this process. As a victim, nobody has the right to tell a victim the right way to address these feelings. Nobody can tell me how to heal. I must do this the best way I know how, and this is my choice. “I’m really happy to see @DrOZ helping my dear friend @Corey_Feldman pursue justice with the authorities. I admire his effort 2 help others. 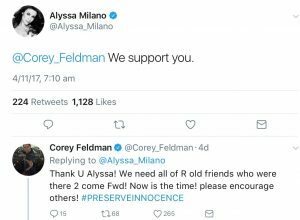 Support keeps flooding in…. Spread this message and help wherever you can. By spreading this message you will help make the voice louder one that needs to be heard the world over.